Which is a small but strong company. 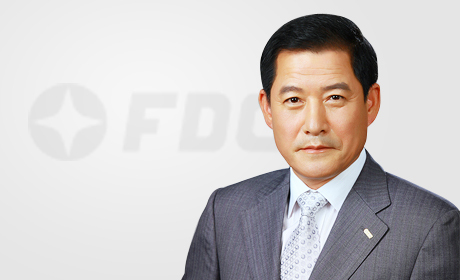 Welcome To FDC Co., Ltd.
FDC Co., Ltd. is a leading company that succeeded in domestication of Rupture Disc for the first time in Korea. We are competing with world class companies with know-how we have accumulated for 25 years' production of Rupture Disc. We are producing perfect Rupture Disc according to product standards such as KS B ISO 4126, KOSHA, ASME Code Sec. VIII, and API RP520, and ISO-9001:2008 quality system. We are making continuous efforts for the new product development and quality improvement of existing products to protect your life and precious properties from hazards including explosion. Our main products are Rupture Disc, Explosion Panel, N2 Blanketing System, and Emergency Relief Hatch. These products are being used for pressure safety devices in various fields such as unpressured storage container, various pressure containers, industrial plants, reactors, and ships, and the performance and quality of the products are proven in National Defense Industry that we have participated in. We will consider quality assurance as the first priority and will do our best to be a company always being with customers. We will be the pride of Korea in the field of pressure safety device field including Rupture Disc, which will be, in turn, the pride of FDC.